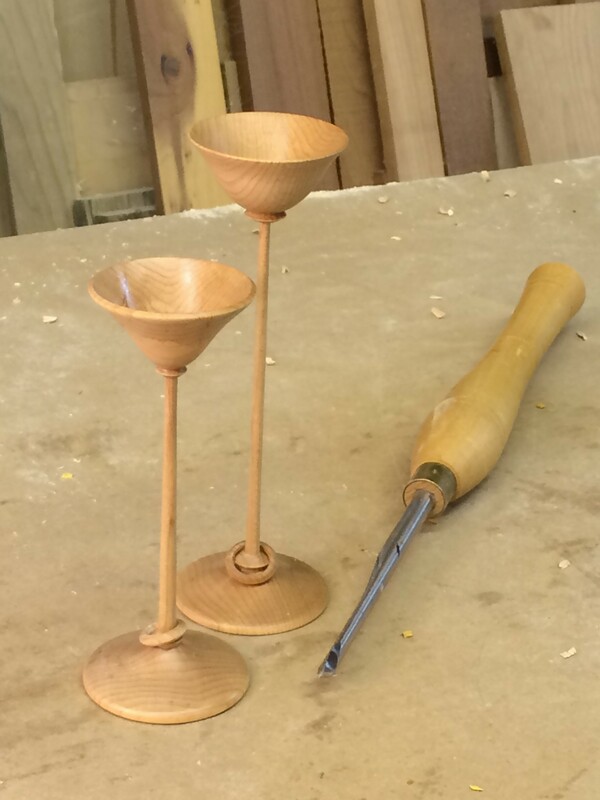 *** previously published on Popular Woodworking's Blog*** Continuing education should be a priority in your life – especially in areas such as favorite hobbies! The longer you travel down the path of a particular subject, however, you gain more knowledge and might feel a bit more advanced than available offerings. Many classes seem targeted toward beginners. It really does do my educator’s heart good when I see the likes of Peter Follansbee and Frank Strazza taking classes from fellow masters in their specialized fields, then going on social media to share what a great experience it was and how much they learned. I admit I’ve been slack in my own education these past few years as I worked on other little endeavors on an ever-tightening budget. So when our local woodturning club had a (not a raffle in the state of Texas) for a class with Jimmy Clewes, I jumped at the chance to throw in my $5. Especially because I’d never had a proper turning class. Clewes is a woodturning tour de force. He’s a “British-born-and-raised but now tried-and-true American” woodturner who seemingly is traveling the world on an unending tour on the demonstration and teaching circuit. If you ever get a chance to meet him, you’ll know why he’s in demand; he’s very entertaining and an excellent teacher. The two classes I “won” were on turning a long-stemmed goblet and making a small box – two things I’ve done before, many times. So my first job as a student was to forget what I knew. Woodturners’ tool grinds are personal. I really like my grinds. But the first thing I did was waste away $10 of steel to reshape my bowl gouge to match Clewes’. His class, his tools, his techniques. That way, when I mimicked his movements, his posture and his presentation, I had a better chance of experiencing the feel he gets as the tool interacts with the wood. And that’s the point of forgetting – to get inside the teacher’s “feel,’ no matter how much experience you might have. That bowl-gouge grind and presentation are only two of the little tidbits I managed to steal from the man. 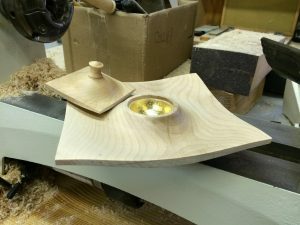 I also learned Clewes’ approach to refining and sizing the inside of thin hollows; his use of the classic-grind bowl gouge as a skew doing a shaving cut; his method of negative-rake scraping using a swept-back spindle gouge. These are all now technique resources in my future work. So my suggestion – no matter how experienced you might be: Take a class. Take a class even if you already know how to make the project. And forget what you know before walking in the door.